Massachusetts Oyster Project: B&G Oyster Invitational May 5th. 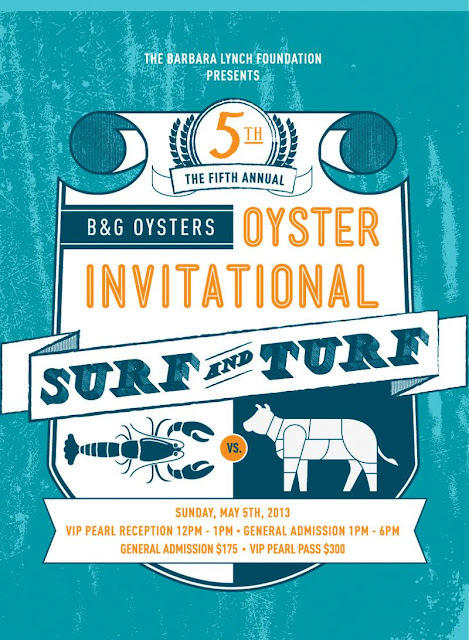 B&G Oyster Invitational May 5th. Each year in early May Barbara Lynch Group hosts their Oyster Invitational at B&G Oysters at 550 Tremont Street. This year it will be held on Sunday May 5th to benefit the Barbara Lynch Foundation. To learn more about the foundation you can click on this link. 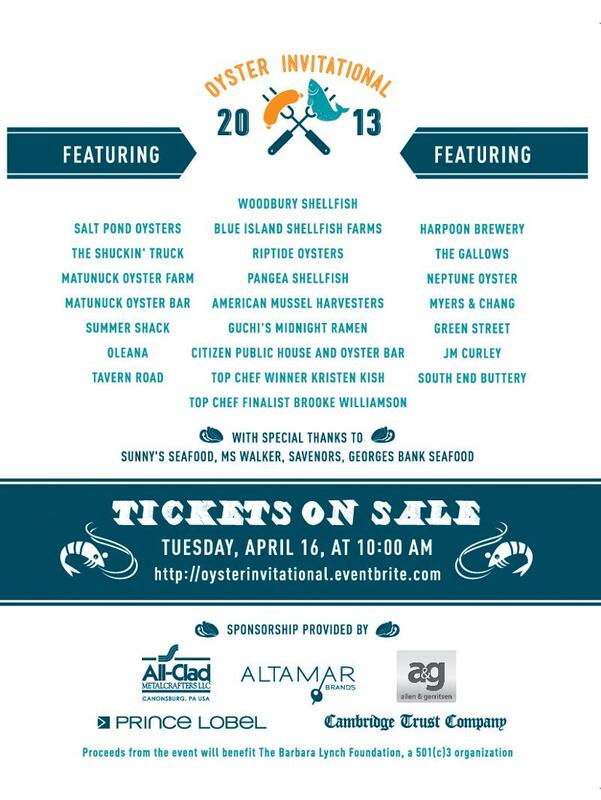 The event includes all you can eat oysters and lobster rolls. B&G has been a supporter of oyster restoration through MOP for several years and Mass Oyster has been active at the event since its inception. This year, we will be present and collecting shell as part of our oyster shell recycling program.